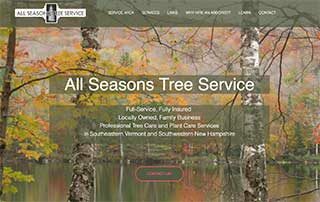 One of my original clients, All Seasons Tree Service, was ready for an update. We went from a static site of 5 or 6 pages, to a single page design that is responsive, fresh looking and mobile friendly. When the need for frequent updates is absent, it’s good to find a solution that doesn’t require a database or ongoing updates to software and plugins. New England Fiddler and Folk Singer, Lissa Schneckenburger: Lissa had a new cd coming out, and wanted her site redesigned to celebrate the cd-release. The new standards based site replaces a frame and tables based site that was beautiful but didn’t work well for search engines. We’ll be watching to see Google pick up on the new site. P.S. Lissa has another new cd titled “Dance” to accompany “Song”; as a companion CD, it shares graphic elements and we didn’t have to re-do the site for that release in September, 2010. Irisbeads is the name of my glass bead and jewelry business. I melt glass in my basement to make beads, earrings, barrettes. The site is NOT a store, but has photos of products and the process of making these things. I used to sell at craft fairs and in a few brick and mortar stores in town. 2015 update: I haven’t had time for this in the last few years, but hope to get back to the basement one day! Massachusetts Food Safety Education : I was hired to write the html and css for this site. The content already existed in pdfs and they wanted it available in html format that closely resembled the pdf graphics and layout. 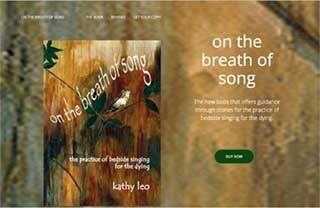 Mary Lea: Dance Fiddler: a site for a musician with a broad range of musical styles. MP3 samples of Mary’s music are available on a page to help wedding planners identify what kind of music they want. Samples are also available on pages featuring Mary’s many cd projects. The John Harvey Gray Center for Reiki Healing : a collaborative project with designer Meg McCarthy, this site features class information and online registration, a PayPal store and mailing list sign up with Vertical Response.